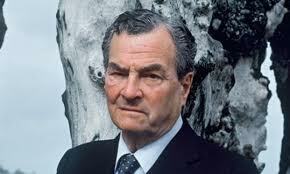 The great writer/traveler and WW II hero Patrick Leigh Fermor died on June 10 in England. Fermor’s best known books, A Time of Gifts and Between the Woods and the Water, recounted his travels by foot from England to the Balkans just before World War II. During World War II, he and a friend hatched a plot to kidnap a German commander on Crete, a feat that was made into the movie Ill Met by Moonlight starring Dirk Bogarde. For more on Fermor, see The Wall Street Journal and The Guardian newspapers. Posted on June 18, 2011 by EPLPosted in UncategorizedTagged memoir, Patrick Leigh Fermor, travel writing.